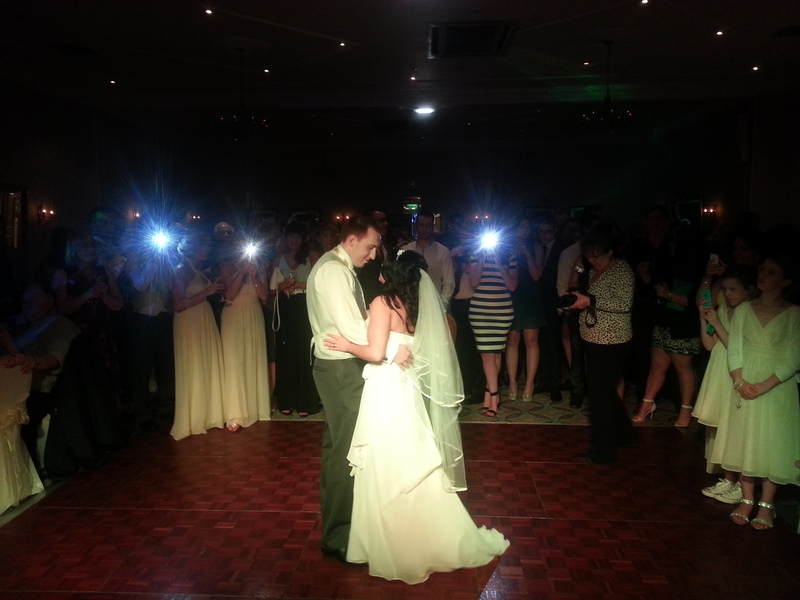 30th May ’14 – Mr & Mrs Myers hired DJ Andy B for their evening reception at the Marriott hotel, Preston. ‘Thanks for DJing at our wedding! Every time i was on the dancefloor/near the dancefloor/ paying attention to the music, it was a song I’d chosen or liked. You didn’t play anything that was banned (I know there was an extensive list, but you clearly listened). I feel you may have been bribed at some point… you stayed strong- well done! The music at the evening do was massively important to me and you did everything amazingly well. I would recommend you and will definitely be in touch if we organise any events in future. Performing their first dance to Brian McKnight ‘Back at one’. As a guide, my wedding DJ services in the Preston area start from £250 which covers up to 5 hours. Any additional time is £30 per hour which could include a late finish or even setting up prior to the wedding breakfast & providing daytime music for you.